Step 1: Run Your Service and open a new Website, Add a label and one textBox to enter radius of Circle. Click on Add web Reference. Copy the URL of Your running web Service and paste it in Your Web Reference window. Step 2:You can change your Web reference name but you remember this. click on add Reference. The service will be added in your application. 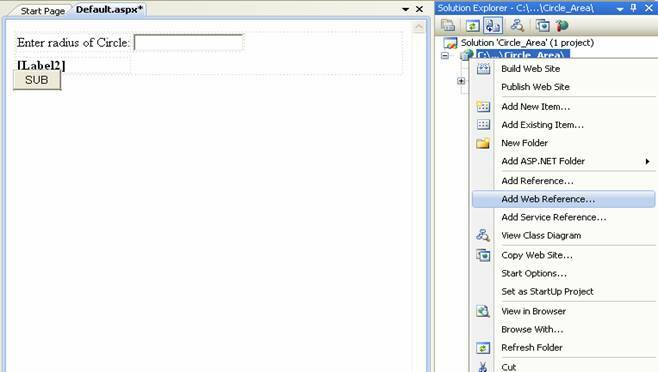 Step 3: Now add the Web reference (name space) in your application (shown below). written the following code in your .cs file (Default.aspx.cs).